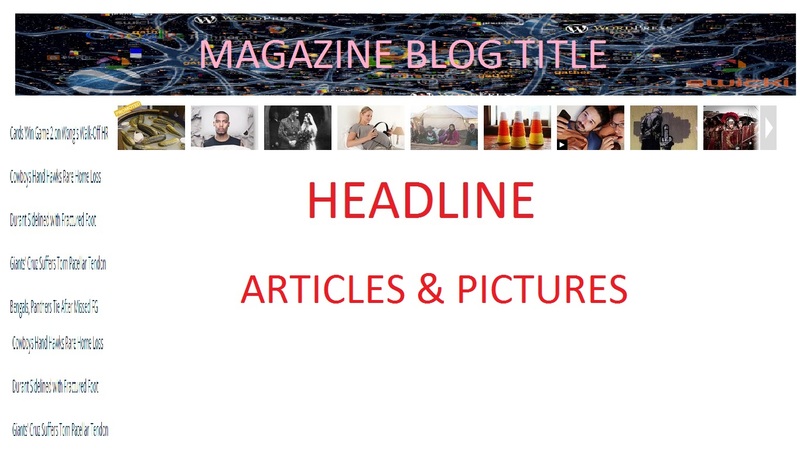 This is an example layout of our magazine blog. It would feature endless scrolling and have a clean look where articles and pictures are aligned the same. There would be links to different categories on the side, and above the headline would be other top stories that the web viewer could scroll over to click for a quick read. Pages would open in new tabs so that we would not lose the spot we were in. Our magazine blog would have a signature banner on the top that would remain the same throughout each page or tab clicked. We chose to analyze the TMZ blog for this in-class assignment. When looking further at the writing of this blog we noticed that it’s mostly short and punchy language. It’s not very formal, but also incredibly dramatic. The writing is very specific to the celebrity that they’re talking about. It’s carefully crafted to display a certain tone of voice and never really left with a question mark at the end. They tend to use phrases and languages that are similar to what could be tweeted (short, basic 140 character headlines). Another thing that we noticed was that their on-camera meetings have a lot of influence in what they write online. On TV, they can usually be seen screaming, laughing, making fun of celebrities, etc. and they are certainly not shy about doing that online. Their bold personalities are evident in the language used in their posts. The voice of the story gives the impression that the author knows all the facts and isn’t afraid to bluntly lay them on the line. They don’t seem to care much about offending people and simple word choices make that clear. TMZ is traditionally known for breaking a lot of celebrity gossip stories. They’re always proud of the fact that they don’t stuff their posts with fluff and instead, lay the facts right on the line. An example of this can be seen on TMZ’s cover story. Just the headline alone, “Stephen Collins Wife Claims He Used ‘7th Heaven’ Fame to Molest…” is sensationalized and written to gain readers through the shock factor. They certainly make use of headings and titles. Perez Hilton is fairly specific, partly because the information is about a certain celebrity, but also for comedic purposes. He keeps his sentences, and articles in general, short and to the point. The site also uses multiple exclamation points and ellipsis. He ends the articles in a quirky manner that doesn’t necessarily sum everything up, but just on a snarky remark. Perez Hilton’s article layout is generally the same. It starts off with a picture of celebrities, usually edited with paint (in an insulting manner), followed by textual information with links. His webpages are cluttered, but the posts themselves are spaced out and easy to read. His focus is targeting celebrities and his words are pretty simple. He makes good use of headings to engage his target audience, who are people who often read celebrity gossip. The writing itself is not formal, but it’s what people would rather read. It’s simple grammatically, and that’s most of what makes it effective. People also read for the attacking connotations in his writing. His word choice is specific and memorable – it’s how one would assume a gossip site who talk. He speaks in terms teenage girls would understand.